The Children's Cancer Fund held its 23d Annual Beyond the Rainbow luncheon and fashion show last Friday inside the Chantilly Ballroom at the Hilton Anatole. The theme of this year's extravaganza was "Kings and Queens Full of Hopes and Dreams". 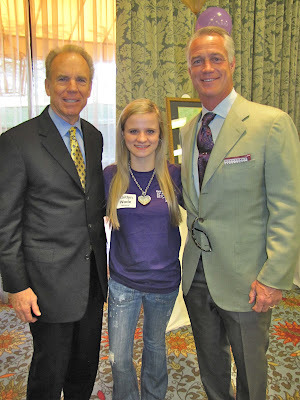 Honorary Co-Chairs Roger Staubach and Daryl Johnston joined Luncheon Co-Chairs Amy Maurer and Summer Olmstead, along with an impressive lineup of celebrities and local media, presented young cancer patients and numerous pediatric cancer survivors in a special runway show. Medieval Times had a slew of characters in attendance to serve as court to the Kings and Queens of the day's event: the children who are cancer survivors. They were treated like royalty, getting their hair done, playing games and meeting local celebrities. A host of local celebrities, dignitaries, and media personalities attend the luncheon and served as runway escorts for the Children’s Medical Center patients modeling in this year’s fashion show, including former Dallas Cowboy Drew Pearson, Miss Texas Ashley Melnick, former Dallas Cowboy Tony Dorsett, Celebrity chef Blythe Beck, Project Runway finalist Shirin Askari, Celebrity chef and The Next Food Network Star finalist Lisa Garza, former Texas Ranger Jeff Russell, Shear Genius stylist Daniel Winson Lewis and more. KDFW FOX 4 News Anchors Steve Eagar and Clarice Tinsley served as Master and Mistress of Ceremonies at the event. As each child walked the runway paired with their partner, Eagar read a Bio on each of the survivors. When asked "what they would do if they could have one wish for a day", it's not surprising that most of their responses had something to do with finding a cure for cancer or making everyone in the world feel better. Seeing these beautiful children, so full of hope and courage, made me so very thankful for my own healthy child. 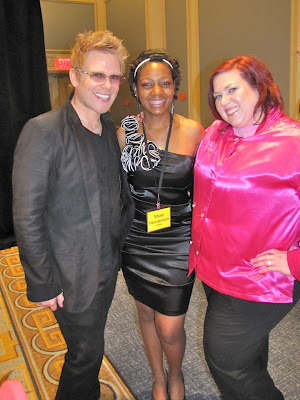 To see many more photos from this fantastic event, visit my Facebook Fan Page.